Join friends and whānau, old and new, for a day of music, food and waka fun on the Petone Foreshore, part two of A Waka Odyssey. Stand on the beach where the great Pacific explorer Kupe stood more than 700 years ago. 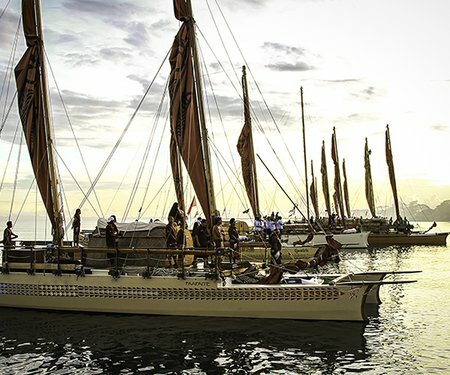 Watch a magnificent fleet of waka hourua (traditional double-hulled sailing canoes) and waka taua (war canoes) sail up to shore, as we continue the celebration of waka voyaging and our place in the Pacific. With the waka landing on the beach, Moana fans and their families can get up close and climb on board. Meet the navigators and their crew and find out more about their journeys, and about star navigation. The party continues all afternoon with live music, DJs, cultural performances, food stalls and more. 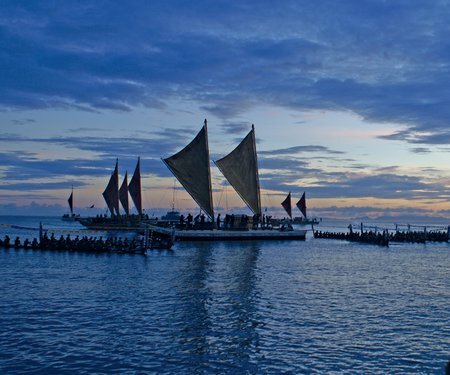 Kupe Landing is part of a celebration of our place in the Pacific, including the spectacular Kupe: Festival Opening Night and the Kupe Dreaming series of community events and activities. Download the A Waka Odyssey flyer to plan your journey. After the party, join us to give some love back to this beautiful beach. Together with Sustainable Coastlines' Love Your Coast programme and the Petone Beach Clean-up Crew, we are cleaning up the Petone Foreshore on Sunday 25 February, 10am–midday. Register your interest and come along to be in with the chance to win a Double Pass to a Festival show of your choice*. *Subject to the Festival's General Terms & Conditions of Competitions. Tickets are subject to availability and restrictions and will not be available if a show has sold out.